Kewaunee Lapseritis is a tall strong man who stands straight up with a power that that impressed me. He spoke about his experiences with both ETs and Sasquatch with a forthrightness in a way that I found oddly soothing. I liked the guy enormously. Just a few days ago I finished reading his most recent book, The Sasquatch People. 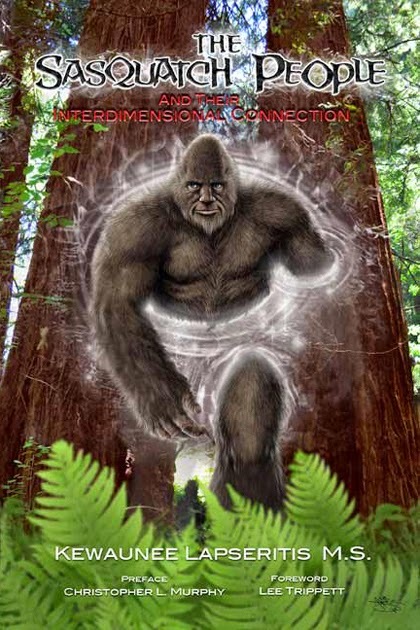 On one level the book is an endless set of reports, one after another, of people’s interactions with big hairy people in the forest, but each story had a psychic element, or something multidimensional or ETs were involved. Literally hundreds of these reports within these pages. I think anyone who looks into this stuff has a continuum of how they frame what they are Well, Kewaunee is way out at the far edge of the continuum of what I’m capable of believing. In a lot of ways, he is saying things I have heard repeatedly from contactees, but from the UFO end of the spectrum, not from a Sasquatch perspective. So, I was both challenged and delighted by both his book and this conversation. Kewaunee’s website HERE, and his books can be found HERE. If you have a personal Sasquatch experience, I am certain he would love to hear it! You can contact him through his website HERE. We jumped right into the deepest waters with this talk, if you want a good intro to his ideas and research, click HERE. Kewaunee Lapseritis, AS, BA, MS, is a holistic health consultant, social scientist, masterh herbalist and master dowser with background in anthropology, psychology, conservation, and holistic health. 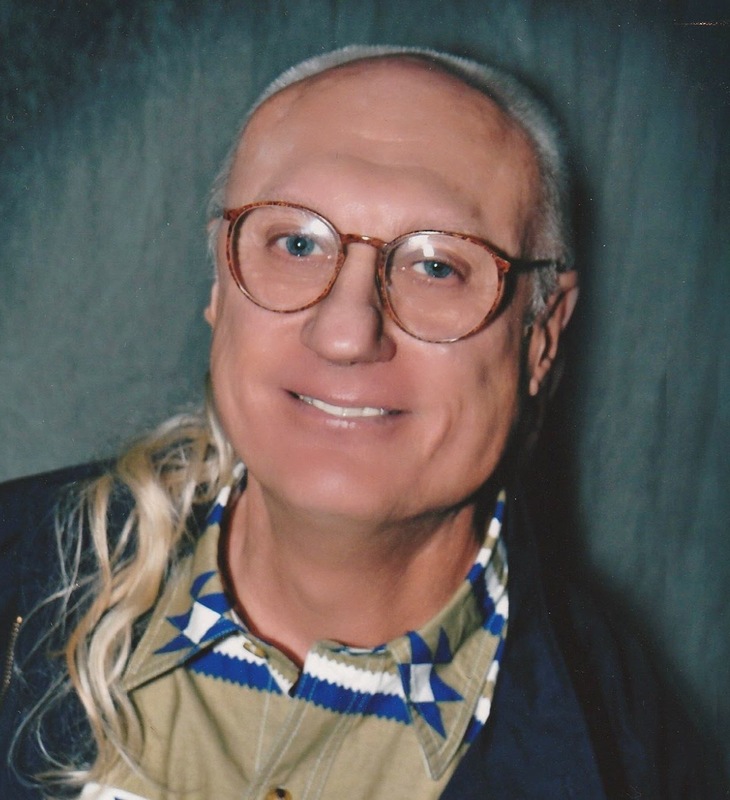 Kewaunee taught anthropology for one year at North Adams State College and later taught dowsing and psychic development at the Wisconsin Society for Psychic Reasearch. He has the researched the Sasquatch phenomenon for the last 55 years. Mr. Lapseritis is both a Sasquatch and ET "contactee." The "ancient ones" seem somehow closer(genetically?) to humans. The female who'd sing to Kewaunee Kewaunee Lapseritis reminded me somewhat of Streiber's accounts at his Peekskill cabin when he'd hear that haunting voice crying out to him at night. I noticed the stunning blue eyes that Kewaunee Lapseritis and you (Mike) have. I was wondering if he is Finnish descent or possibly Greek descent? I'm trying to place that surname with his striking looks (those remarkable blue eyes). I love this guy! I was really expecting him to be too far out there for me (I have never seen a Sasquatch in all of my vast hiking experience); but nonetheless, much of what he spoke of found a home in my heart. His commentary about praying being about asking a question and meditating being about listening for the answer ... this hit me right between the eyes. About to listen to the interview..but first, it's Kewaunee not Kewaunne. So last night during meditation I was told by whatever voice sort of takes over when i am in the zone that I have the ability to let go.... to accept the strange, and that i need to further develop this ability. It's a difficult balance admittedly. In order to face these topics people are going to need to let go of everything we think we know about reality. This includes me. Even within my own "letting go" i still cling to internal beliefs and i feel this can hold me back. It's hard to undo years of western education, and while this education has merit and is deeply appreciated, it needs to act as a foundation and not a cage. Like training wheels on a bike. Anyhow, my knee jerk reaction (and i assume most people listening understand) is "oh no, this guy is going to be too far out there for me. He's got to be crazy." But then, i think about my own experiences and i realize my path is absolutely strange and unbelievable. This guy just has the nuts to say it to the world. To me its like this. Look deep into the depths of the ocean and you will find strange and fantastic beings right here on our small planet. Why then when we turn towards the rest of the universe are we expecting them to fit some sort of mold? Why are we expecting contact to be anything but unbelievably strange? Merlyn's Apprentice - Re. your last paragraph directly above. And when we think of the beings found in the depths of the ocean, there might be a profoundly different sentient life that is 'alien'....What Ivan Sanderson and Mac Tonnies wrote about. As a Chicago expatriate, who had a Lithuanian girlfriend for 5 years, I would respond to Brownie's inquiry about the surname Lapseritis with my guess that it is a Lithuanian name. The moment Kewaunee started talking about the X number of alien races visiting our planet, my masked luchador senses started tingling. But I admit that, leaving those aspects of his tale aside, several things he said resonated with me. I particularly liked his concepts of how praying is talking to God, whereas meditation is listening to God. PPS: I think I can see why you liked this guy so much. Perhaps you notice his confidence & how he has naturally learned to integrate all these weird elements into his life, and you might be saying to yourself "that's where I want to be 10 years from now"
Whenever I listen to a new agey-type speaker, I pay close attention to how much of the discussion as about the speaker’s own personal specialness – as opposed to how much is intended as useful information or advice for the listener (self-improvement, etc.). In the case of Mr. Lapseritis, he focused quite a bit on the personal specialness stuff. For example, he mentioned on several times that he is a “master herbalist”. Fishermen who are similarly adept at baiting hooks don’t talk that way about themselves, for obvious reasons. I also pay attention to how much the speaker is trying to promote anti-rationalism. Emphasizing that our culture has deprogrammed people from paying serious attention to their own intuition is one thing, but to discourage critical thinking altogether usually signals an agenda of instructing the listeners to “pay no attention to that man behind the curtain”. The oversimplified “feelings = good and logic = bad” argument is usually part of that. I admit I too did notice Kewaunee's frequent 'self-promotion' during the discussion. About the 'anti-rationalism,' I think IMO the point he wanted to get across is that our linear (Cartesian if you will) logic will only get you so far, and there seem to be other avenues to acquire information & insight. That said, I also must say that disregard for Evolution is a bit too much in my book. I personally have issues with the current Darwinian take on Evolution --ascribing ALL the process to random chance & 'natural selection' for instance-- but IMO there's plenty of evidence that we humans have evolved from extinct species of hominids. Now, whether we were in some way 'tampered' with during the early stages of our time in this planet, that's something not entirely impossible. I have spoke to Kewaunee briefly before the interview. He expressed some frustration on how he is perceived by the mainstream, but he says he tries not to get angry and always reacts with kindess. (I could see him doing this). He includes his educational degrees in his bio, and makes sure to point out that he came from a very "normal" background. When I spoke with him privately, he was enormously helpful, pointing me to people who are doing similar work. And, I watched him interact with people in a conference setting. He struck me as perfectly gracious. This has been the mindset (or heart-set?) where I feel my best writing and research emerges. I have been told (rather sternly) that this isn't scientific. I reply that I'm not a scientist, I am an artist trying to explore my own, extremely challenging, personal experiences. To me- rather than “feelings = good and logic = bad”- it´s gotta somehow have to do with embracing the sweet paradox of things, or what is anxiously construed like such by the linear 1-D intellect. Logic and emotions are all fine , none of them bad per se, but maybe the thing is that the spiritual/shamanic functions don´t really fit in any of those categories- but is a category all of its own (and-paradoxically...in a way including all others). Very real but on its own terms with it´s own tools and language needed. It´s like we´ve got quiet, invisible senses working for us all the time, weather we know or not, and need to find the means to work them in a more conscious way. And I think liking it to the artistic and also poetic way of thinking/seeing etc, is meaningful and can be very helpful. Where I got turned off by this presentation was at the point when he tried to rehabilitate the 2012 myth by changing it from a calendar date to a 4-year range. Is this an Official New Age Talking Point or – worse yet – did he come up with it on his own? By redefining 2012 as a four-year time frame, the addition of two years on the front end helps mask the motive of buying time on the back end. So, in addition to being disingenuous, this is downright sneaky. This will surely find its way into the Great Book of New Age Excuses and we will probably continue to hear it from other sources until the extended deadline expires – at which point the parameters will likely be redefined once again. Maybe it's a plan to 'move the goal posts' & adding 4 more years to the 2012 mythos; personally I don't see much help in ascribing special meaning to specific dates, and we should also be mindful that most (if not all) channeled prophecies in which a given year is prophesied, and nothing ever happens. That said, I feel that only the most closed-minded cynic would deny that A LOT has been going on in the world since 2012: The Pope resigned & a new more progressive was elected, the whole NSA spying programs exploded into the mainstream consciousness, and now the New York Times was discussing things that up until then were reserved to Alex Jones & conspiracy theorists... should I go on? 2012 wasn't the end of the world. It was the end of the illusion of what the world is. I'm still waiting for something earth-shattering to happen at (to) Fox News. But then, when some (very few) researchers DO manage to support themselves exclusively by the books they write or by accepting speaking engagements, then people accuse them of being sell-outs! There's just no way to win. It should also be noted that nowadays writing a book about these subjects is not going to bring you fame & fortune. Some people have confided in me that, given all the time they devote to writing the text, at the end of it what they receive in return is *barely* beyond minimum wage --and that's if they're lucky. Yes, we all want things for free, but we also need to be realist: people have to eat, and they deserve some return for their efforts. "In the language of Karl Marx, what presents itself as reason is in fact ideology. The voice of God is an authority that is higher than the rationality of either the current establishment (Hegel) or the revolution (Marx)." -> Danish 19th century philosopher and religious writer Soeren Kierkegaard. I have decided to follow Mike's advice when listening to this type of interview - just turn off my filters. Does this mean I have abandoned all logic and rationality? No - but it does acknowledge that I have already decided to spend two hours of my time to listen to a podcast on ETs, UFOs and Sasquatches, so I am already not exactly occupying the rational high ground. However, I am not about to join a cult and wait out in the woods for our Bigfoot space brothers to take me home. It seems to me that experiencer accounts are so individual and odd that they don't fit we'll into our usual frameworks for analysing if something is real. The generous skeptic will say that it is all just a self created fantasy. The debunker will of course be much harsher, as they respond to the narrative they have constructed to explain their world being so strongly challenged. I would like to suggest a third way, between it's really happening and it's nothing more than fantasy. What if you decide today to live your life as if you are in direct contact with physic Sasquatches? What effect will this have on your reality? It seems to me that you are now entering the realms of Magick and invocation. We are all greater artists than we can imagine. I do not advocate "turning filters off" -- but I do advocate simply being aware of the filters, because they are always there, no mater what your take. Just know there is a filter in place. Sometimes that means that you can get a good image of what has been left aside. That pile of "removed" stuff can be just as interesting!